CodeWarrior® development tools are sold in suites. 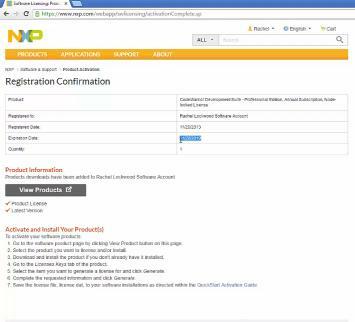 By purchasing a suite entitlement, you are able to register for any or all of the CodeWarrior products contained within this suite. This allows you to gain access to our entire portfolio of CodeWarrior tools across the suite you purchase. Come and get on the design fast track with us.